Page Updated:- Monday, 07 January, 2019. Above photo 2010 by David Anstiss Creative Commons Licence. I have also seen this addressed as at Brasted Chart. 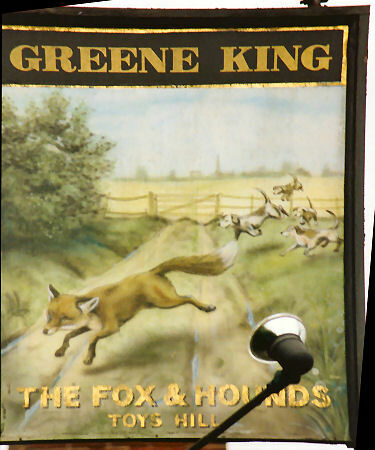 I have reference to another "Fox and Hounds" in Sevenoaks, and addressed as Shoreham Hill. At present I do not know whether the two are the same. Local knowledge required please. Sevenoaks Chronicle and Kentish Advertiser 24 December 1890. Have received instructions from the Right Hon. 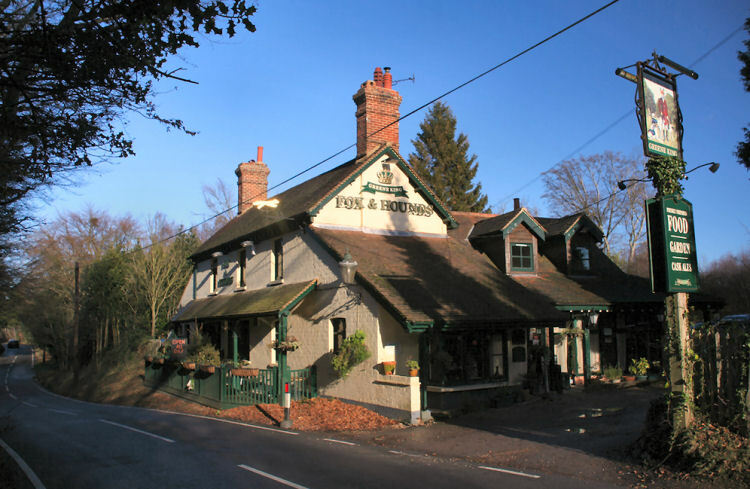 Earl Stanhope to sell by auction on the ground on Friday, January 9th, 1891, at 2 o'clock precisely, about 85 Capital Beech Trees (numbered 1 to 85), and 21 Excellent Oak Trees (numbered 1 to 21), situate on Brasted Chart, near the "Fox and Hounds" Inn, Toys Hill, of useful dimensions, near good roads, and which may be sold in convenient lots. May be viewed any day previous to sale and catalogues obtained on application to Mr. George Smith, Toys Hill. 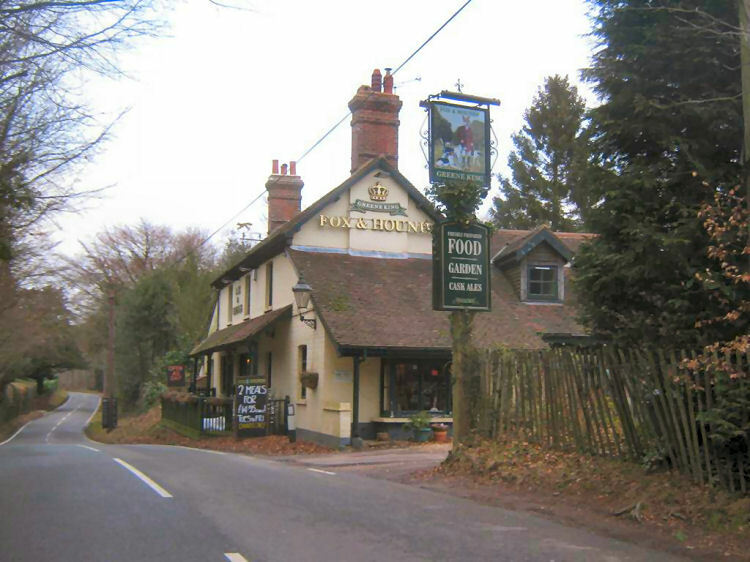 Catalogues may also be procured at the principal inns and hotels in the neighbourhood, of Mr. J. McMonies, Chevening Park, Sevenoaks, and of Messrs. Cronk, Land Agents and Surveyors, Sevenoaks, Kent and 12, Pall Mall, London, S.W.